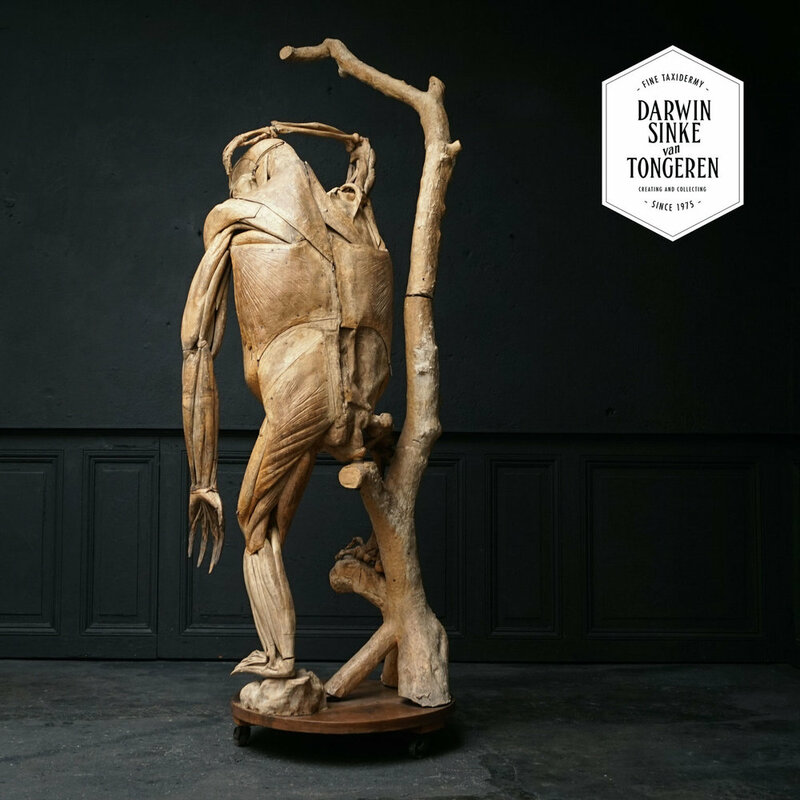 The story of a remarkable 19th century anatomical model created just four years after Darwin unleashed a political storm with his theories on human evolution. 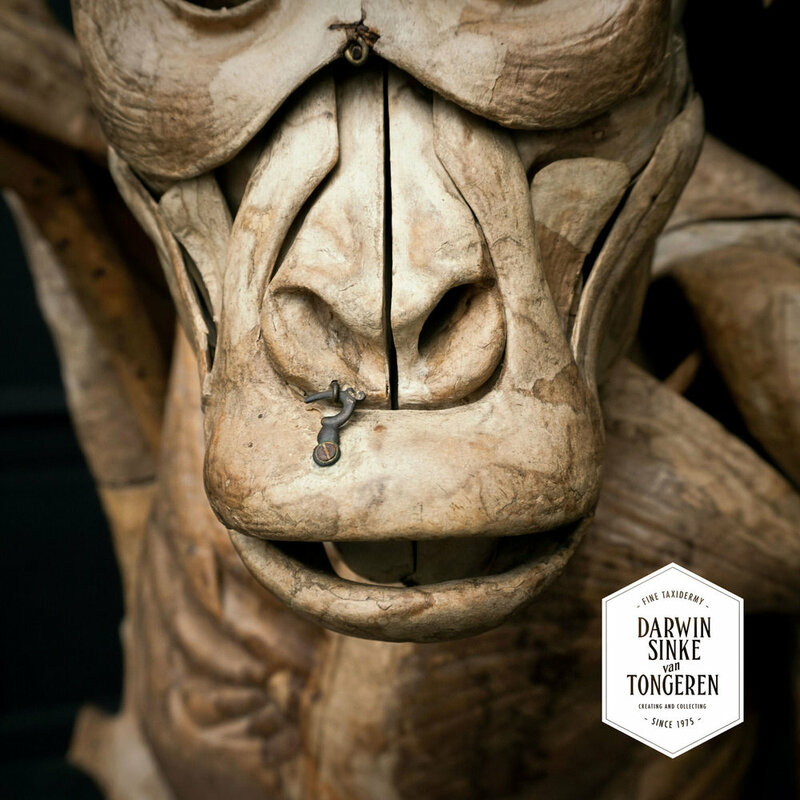 The publication of Charles Darwin’s controversial On the Origin of Species in 1859 caused debates to rage about human evolution, debates which witnessed the politicisation of a creature whose existence had only recently been confirmed by modern science. 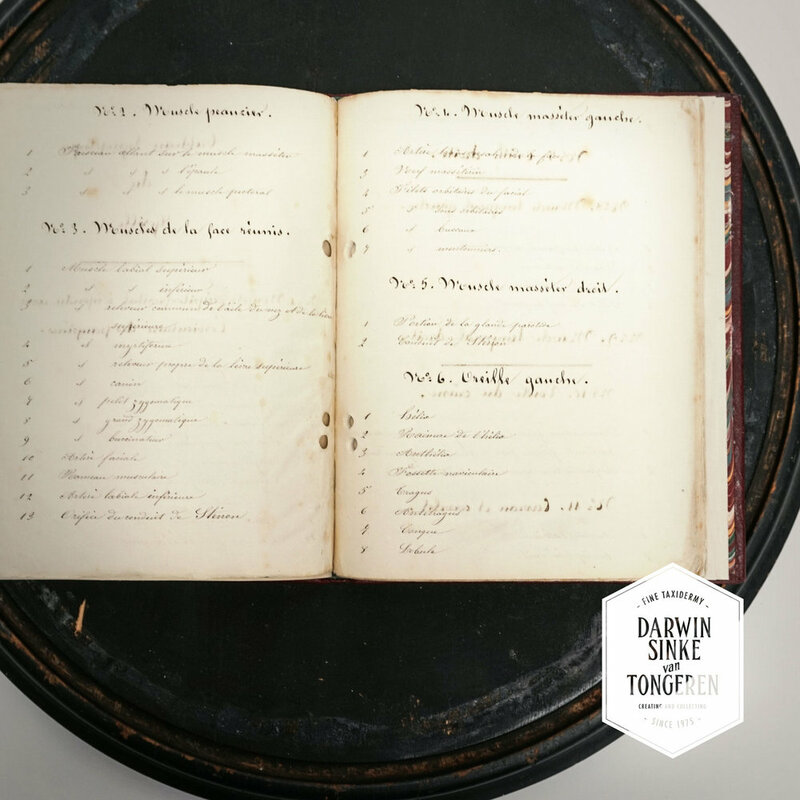 On one side of the argument was the Darwinian camp; on the other were those opposed to Darwin’s theory, such as Richard Owen, the famed Director of the Natural History Museum and a man who, interestingly, coined the word ‘dinosaur’. Despite only recently being formally introduced to the gorilla — a creature Darwin argued was among its closest relations, mankind’s first encounters very likely took place in the 5th century B.C. when the Carthaginian Hanno the Navigator recorded coming across ‘women with hairy bodies, whom our interpreters called “gorillae”’. Later, Pliny recorded in his Natural History that their furs were preserved until the Battle of Carthage (149 B.C.). 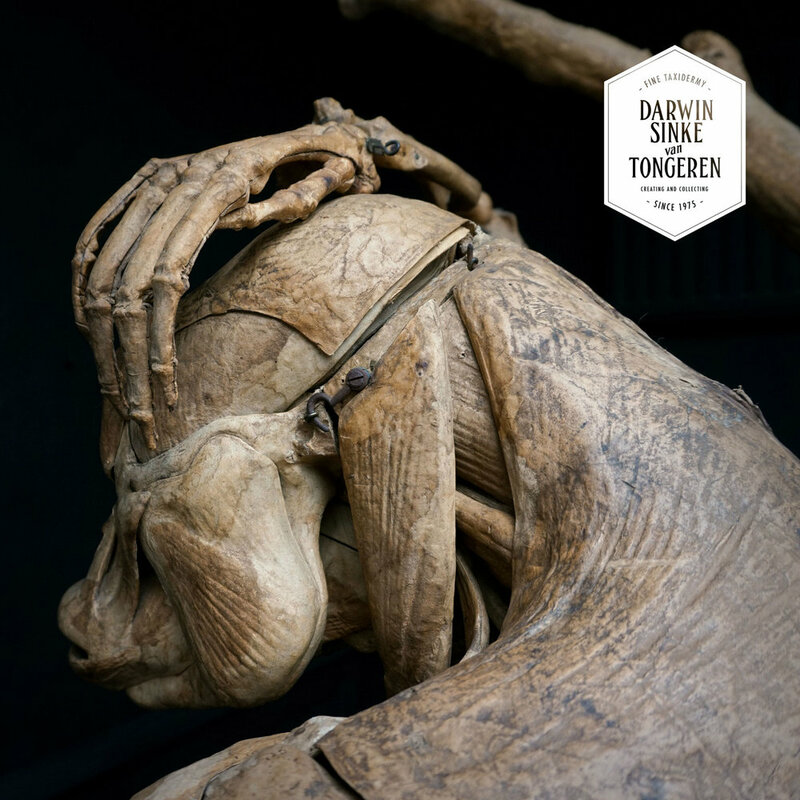 As a response to this increased public interest, the French naturalist and anatomical model maker Dr. Louis Auzoux announced that he was keen to dissect an ape as his next challenge. He mentioned as much to the Emperor Napoleon III when presenting to the family a lecture on anatomy. The Emperor duly obliged and organised for a specimen preserved in alcohol to be transported back to France from an 1863 expedition to Gabon. As a theatrical act of scientific teaching, Auzoux dissected the gorilla to demonstrate its anatomy. The dissection took place in front of a crowd at the amphitheatre of the Ecole de Médecine in Paris. Later, a full size model of the gorilla was announced in the journal Le Cosmos; revue des sciences et de leurs applications as an upcoming new addition to the works of Auzoux. The studio of Dr. Louis Auzoux. On the right the model of the Gorilla. Dr. Auzoux was a leading pioneer of three-dimensional didactic models which he made with a secret recipe containing not only paper but also clay and cork (pieces of which can be seen in this specimen). These models, which he called ‘anatomie clastique’ (from the Greek ‘klastos’, meaning broken in pieces), were specifically designed to be taken apart, piece-by-piece as if carrying out a dissection, in order to facilitate the teaching of students in universities. Each part of the model would have carried applied numbered labels and arrows instructing the student as to which piece to remove next. The lack of these on the this example points to it being the initial prototype by Auzoux, from which moulds were then taken before being cast and then carefully painted and numbered. 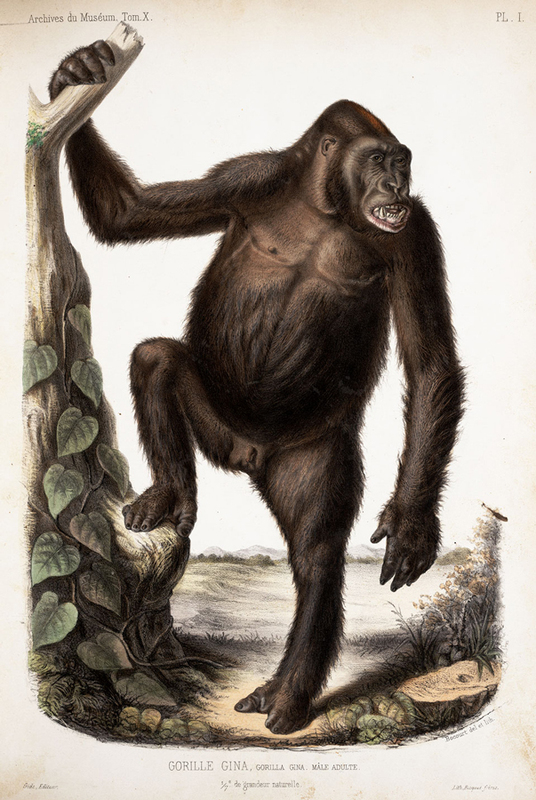 The pose for the Gorilla perhaps apes an 1858 lithograph by Marie Firmin Bocourt that appeared in the Archives du Muséum d’Histoire Naturelle vol. X. 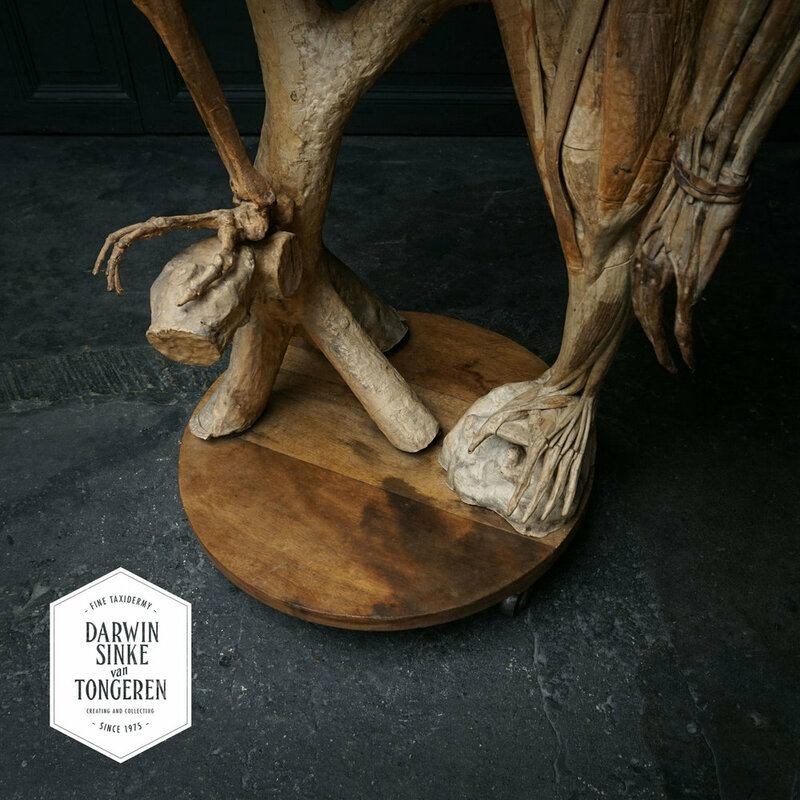 Starting out by making models of human legs and other human anatomical models — his first was presented to the Académie Royale de Médecin and earned him a commission, Auzoux recognised a gap in the market with the lack of materials for medical students. 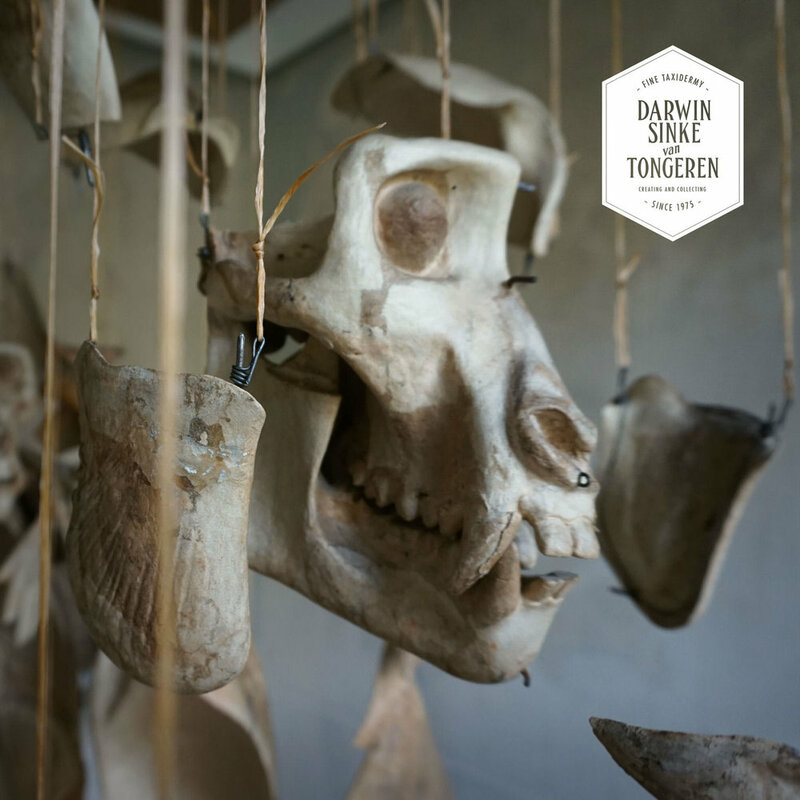 Fresh bodies could only be dissected and used for teaching so often before turning, and the industry for providing dissectible wax teaching models was not well established and prohibitively expensive. Auzoux capitalised on the situation, founding a long-running and successful company providing schools and universities around the world with expertly made and durable didactic models. 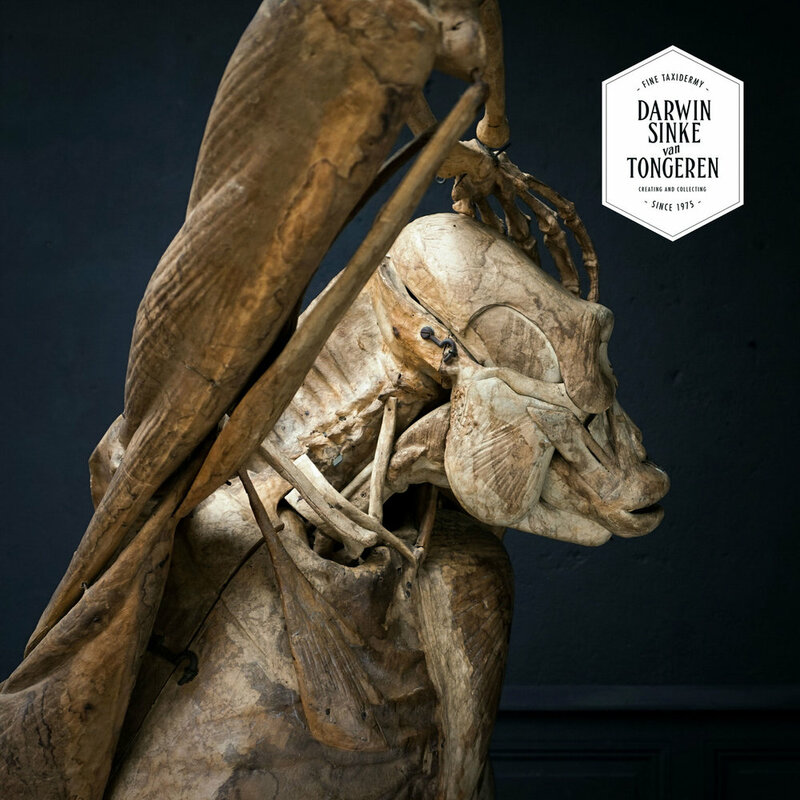 His catalogue eventually listed 110 models, and the commissaries of the Académie Royale de Médecin frequently praised the importance of the models, in 1831 reporting that ‘France has the advantage of surpassing the other countries in the art of anatomical imitations’. Auzoux was made a member of the Légion d’Honneur. 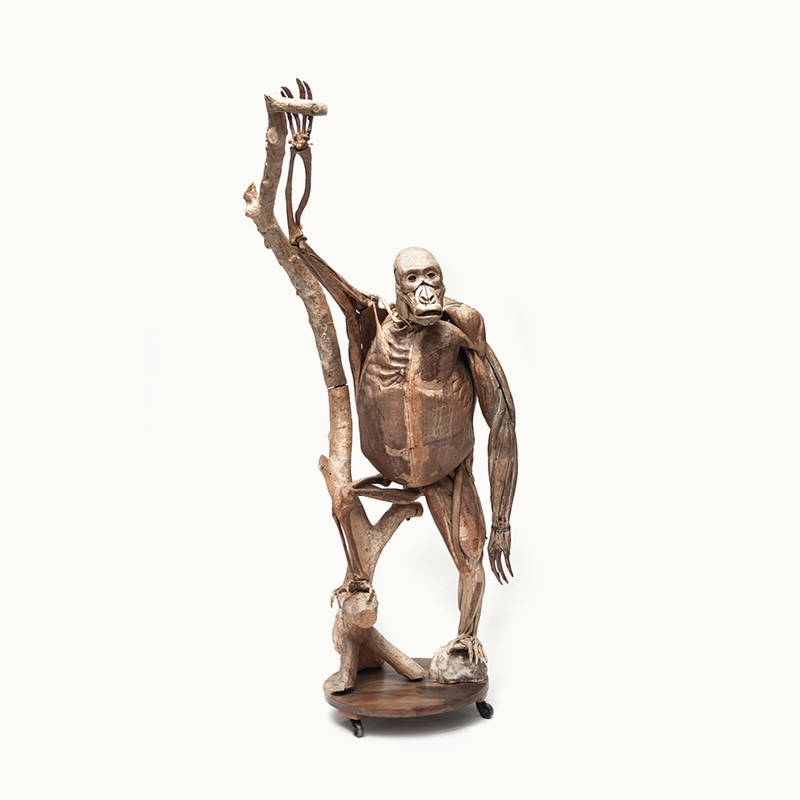 Today his anatomical models are highly sought after for both their scientific and artistic merits, and can be seen in museum collections from India through Europe to the U.S. The Gorilla is perhaps his most ambitious of all the models; in 1869 it was advertised at a price of 3,000 Francs. 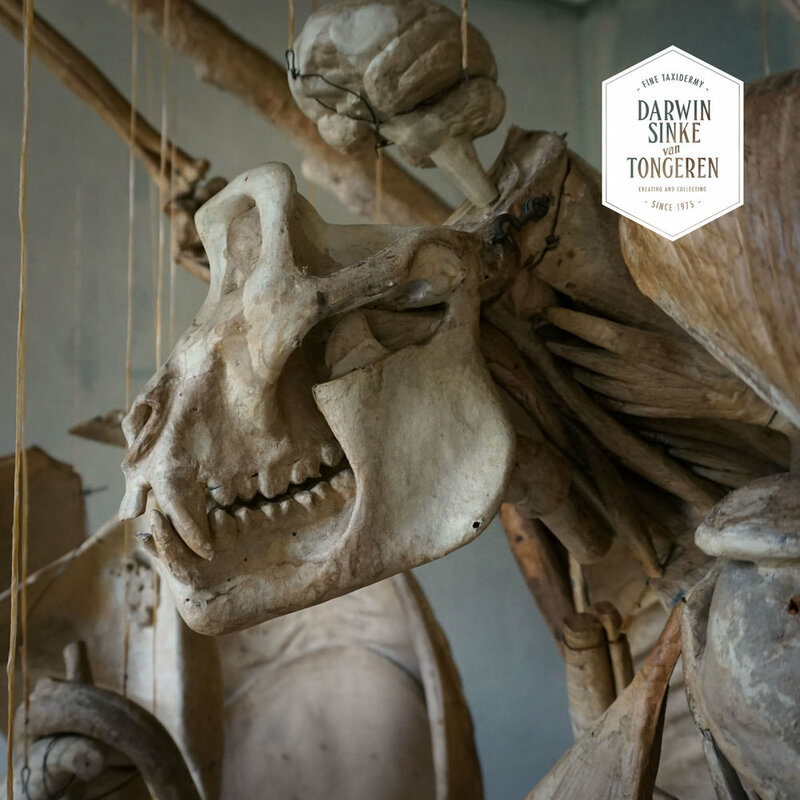 It is certainly the rarest, only four are known: in Paris at the Musée Histoire Naturelle, one in a private museum, another in La Musée d’Anatomie Montpelier (formerly in the collection Delmas-Orfla-Rouvière), and the current example. 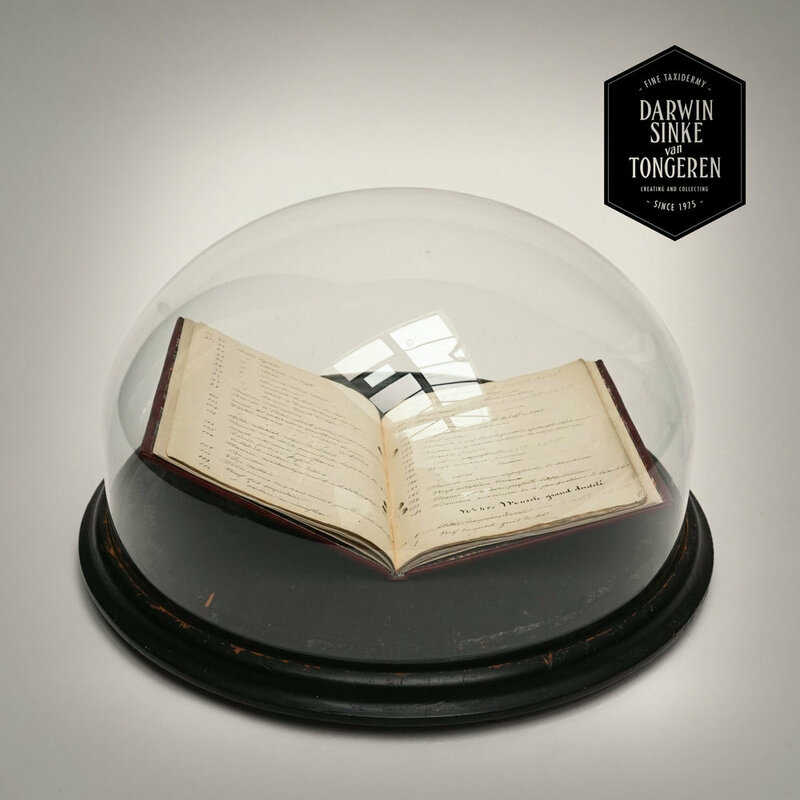 Even more rare is the autograph manuscript that accompanies this rare prototype model. Titled ‘Anatomie clastique du docteur Auzoux Tableau Synoptique du Gorille’. 65 handwritten pages describing the 1,193 removable pieces of the Gorilla’s anatomy. 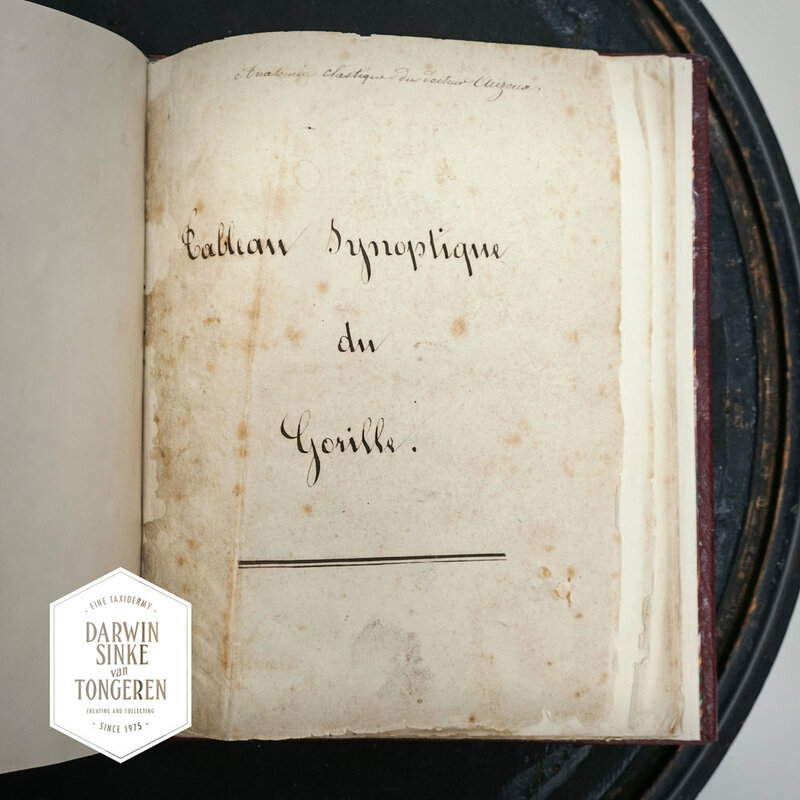 A unique and original document that completes this important piece of natural history and science. 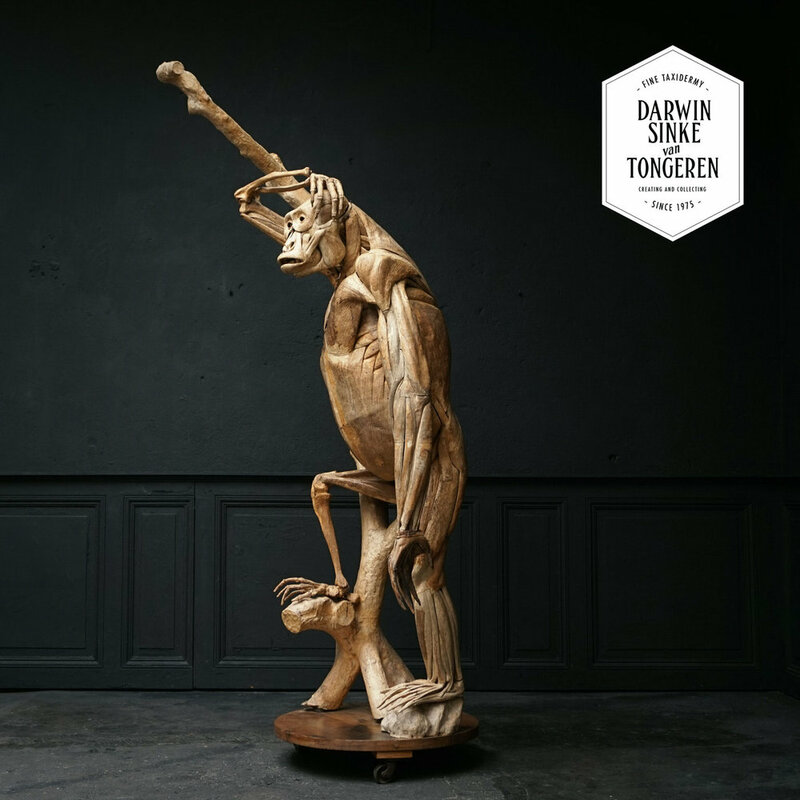 Sinke & van Tongeren exhibited this extremely rare Auzoux Gorilla by carefully taking apart the model and creating an exploded view of this historically important piece. 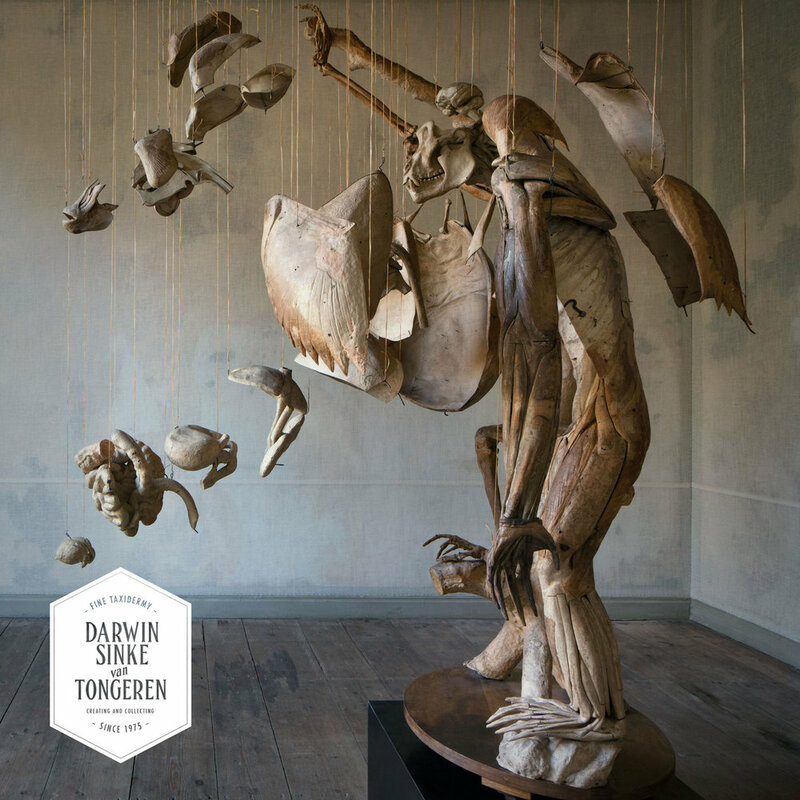 When viewed from a particular angle all pieces come together to form the original shape. 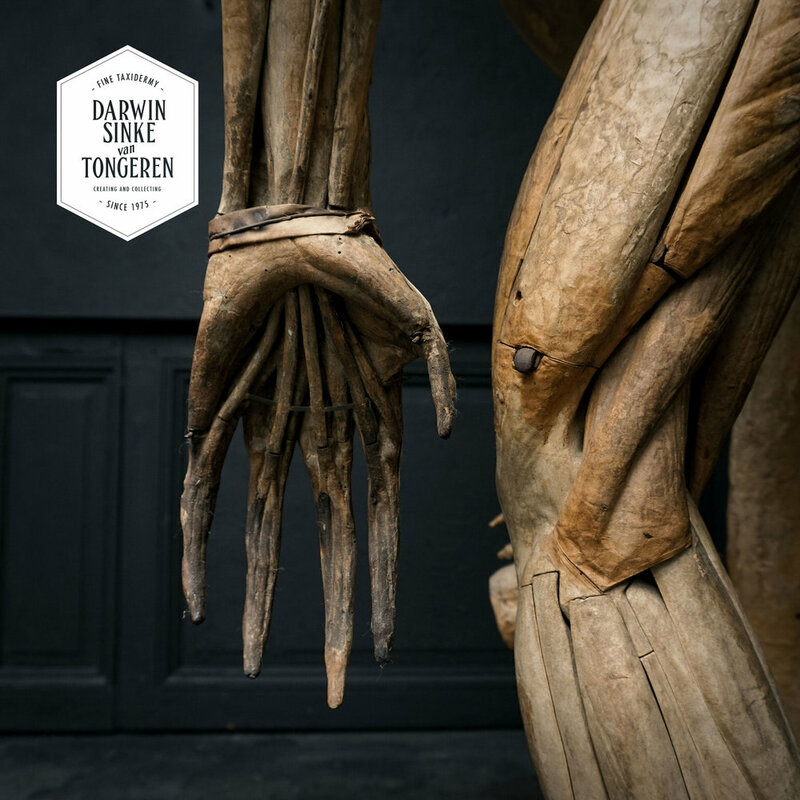 Part of the exhibition called ‘TIER’ at MOA in The Netherlands.